November 3 marks the 60th anniversary of the launch of Sputnik 2, a mere month after Sputnik 1's successful lift-off kickstarted the Space Age and a race that would last for almost the entirety of the Cold War. On November 3 in 1957, the Soviet Union stunned the world with the launch of Sputnik 2 — the second spacecraft the USSR had launched into the Earth's orbit, and the first ever to carry a living passenger — the famed space dog Laika. ​The Space Age, and race, had erupted less than a month previously, with the launch of Sputnik 1, the first Soviet satellite, on October 4 in 1957. Due to the seismic success of that project, Soviet premier Nikita Khrushchev ordered leading rocket engineer Sergey Korolev back to work, in order to create a second satellite that could be in space in time for the 40th anniversary of the Bolshevik revolution. 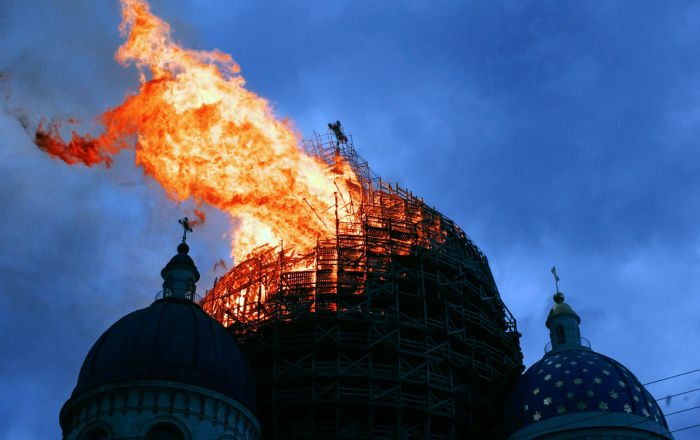 It has been suggested by some Western sources that Khrushchev pressured Korolev into creating Sputnik 2 against his will, and despite the engineer's belief the project would end in failure — in reality, Korolev was excited at the prospect of a new exploration project. He believed the second Sputnik could serve as a test run for launching humans into space. ​The cone-shaped Sputnik 2 capsule was four-meters high, with a base diameter of two meters. On board, in addition to Laika, were radio transmitters, a telemetry system, a programming unit, regeneration and temperature-control systems for the cabin, and scientific instruments. Engineering and biological data were transmitted to Earth for a 15-minute period during each orbit. Two photometers on board measured solar radiation and cosmic rays, while a 100 line television camera provided images of Laika. It was launched into orbit with a period of 103.7 via a modified ICBM R-7, similar to the one used to launch Sputnik 1, about 5:30 PM Moscow time. Six days later, on the 40th anniversary of the revolution, Khrushchev said, "our first Sputnik is not lonely in its travels." ​Sputnik 2 reentered the atmosphere April 14 in 1958, after 162 days in space and somewhere in the region of 2500 orbits. Laika was one of ten dogs — all strays found on the streets of Moscow — considered for the mission. Soviet scientists assumed stray animals had already learned to endure conditions of extreme cold and hunger. ​This dectet was whittled down to three — Laika, Albina (a back-up), and Muhka (used to test equipment). She was chosen for her "phlegmatic" temperament — weighing around 11 pounds, and three years old, Soviet personnel gave her several names and nicknames, among them Kudryavka (Little Curly), Zhuchka (Little Bug), and Limonchik (Little Lemon). Her true pedigree is unknown, although it's thought she was part husky. Laika, the Russian name for several breeds of dogs similar to her, was the name popularized around the world — although the US media mockingly dubbed her Muttnik. Vladimir Yazdovsky, who trained Laika, subsequently wrote that the intrepid hound was "quiet and charming." Laika is honored with a statue and plaque in Star City, Russia, the Russian Cosmonaut training facility, and Moscow's imposing Monument to the Conquerors of Space, constructed 1964, also includes Laika. The Monument to the Conquerors of Space in Moscow. Her cultural reach extends beyond Russia and the former Soviet Union — Laika is prominently mentioned in the 1985 film My Life as a Dog, in which the main character (a young Swedish boy in the late 1950s) identifies strongly with her. An eponymous 2007 graphic novel by Nick Abadzis offers a fictionalized account of her life —and she was also the inspiration for the song Neighborhood 2 by Canadian rock sensation Arcade Fire. The rapidity with which the USSR followed their first space triumph awed and terrified the West in equal measure. The mission reaped a rich research bounty, with 70,000 signal acquisitions received from the satellite, and invaluable data on space radiation, shortwave emissions from the Sun, and the feasibility of living organisms surviving in space. The Van Allen radiation belt could even be named the "Verno Belt" after S.N. Vernov from Moscow State University — Sputnik 2 detected the Earth's outer radiation belt in the far northern latitudes, but researchers did not immediately realize its significance. Such was the shock at the highest echelons of American society, the Central Intelligence Agency (CIA) published an analysis of the flight in March 1958. The study was initiated by fears the Soviets would put a human being in space not long after, which indeed did come to pass. 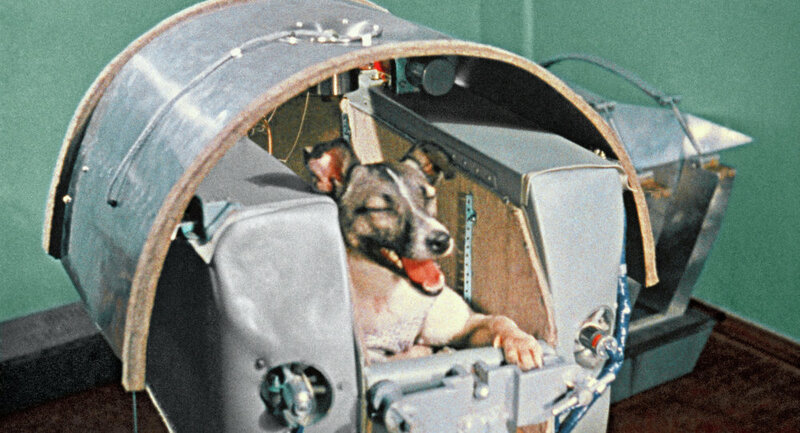 Perhaps not wishing to believe their Cold War opponent was far more advanced in the field of space exploration, the document stated CIA officials were initially skeptical of whether Sputnik 2 did indeed transport Laika to space, but conceded the craft did indeed "carry a live dog." The day after Sputnik 2 went into orbit, the Gaither committee, which was investigating the impact of a nuclear attack on the US, met with President Dwight Eisenhower to brief him on the situation. Committee representatives were panicked, afraid they were falling so far behind the Soviets technologically it would put the country in danger of a nuclear strike. However, Eisenhower kept calm, keen to keep the country from "going hog-wild and from embarking on foolish, costly schemes."